The Miami Open forms the second stage of the ‘March Masters’ and always features a stacked lineup of the best players from both the men’s and women’s games. 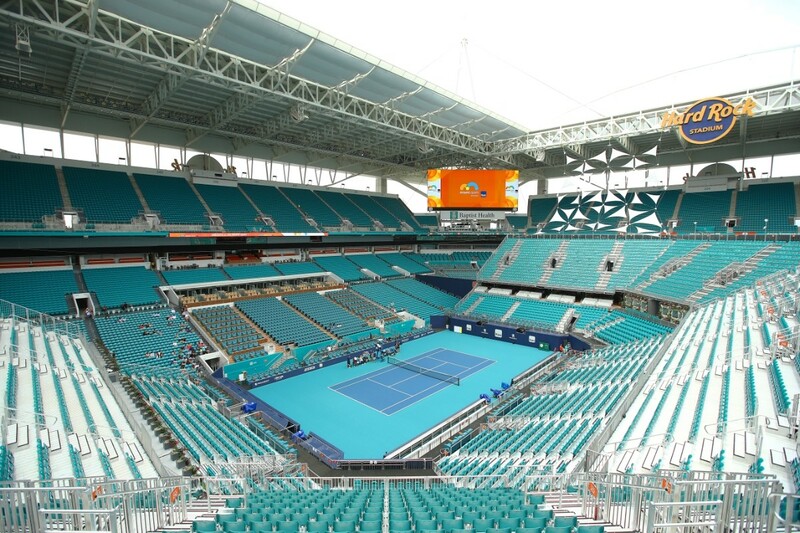 The tournament takes place at the Hard Rock Stadium for the first time ever after moving from its previous home of Key Biscayne. But who will prove too hard to beat on the hard courts at the Hard Rock? American John Isner is bidding to defend the title he won last year, but the 33-year-old faces a tough test to make it through to final of a tournament packed with some of the sport’s biggest stars. Djokovic LOVES the Miami Open. He became the youngest player to win the title as a 19-year-old back in 2017, and he’s gone on to add five more titles to his honors list in the years that followed. 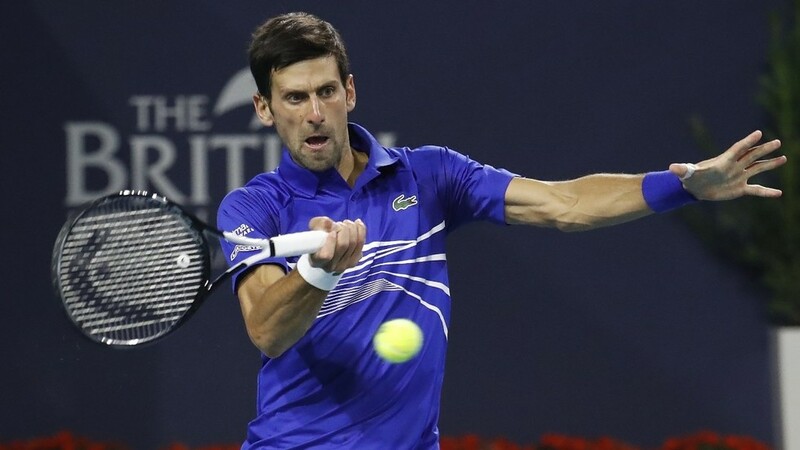 His six titles are matched only by American great Andre Agassi, and now No.1 seed Djokovic is looking to pull clear of the field and stand alone as the most successful player in Miami Open history by capturing a record-setting seventh title this week. But he’ll have to do it in new surroundings after the tournament was moved to the Hard Rock Stadium, but he told ATPTennis.com that he was looking forward to the challenge. “I thought it was a bold move [to change venues]…to a football stadium and create something quite different that we haven’t seen before. “Sascha” Zverev was one of the big success stories of the 2018 tennis year as he rose through the rankings to become a legitimate star at the top of the tennis world. And since capturing the Australian Open title earlier this year, the big 21-year-old is showing no signs of stopping as he continues to deliver big-time performances in big tournaments. Seeded No. 2, Zverev will look to progress all the way to the final – and a potential clash with Djokovic. The Swiss ace is always a threat on fast and hard courts, and he’s expected to do well here in Miami. At the age of 37, the multiple-time Grand Slam winner may be one of the elder statesmen in the tournament but, as the No. 4 seed, he’ll be looking to prove he still has the staying power required to win against a strong field in Florida. He’s done it three times before, including in 2017, so don’t count out the Fed-Express delivering the goods once again this year. Federer captured his 100th tournament victory in Dubai earlier this year, and told ATPTennis.com that being happy with his game is the key to increasing that total. “The important thing is to be healthy, happy playing and that’s exactly how I feel right now sitting here in Miami,” he said. The Canadian may not be the biggest name at the top of the draw, but he heads into this week’s tournament in prime form after an outstanding run at Indian Wells, where he went all the way to the semi-final stage. He’s been competing at the top end of tournaments for the last few years and has been ranked as high as No. 3 in the past, so he won’t be fazed by big-name opposition. The big Australian started the month well with a brilliant run to the title at the Mexican Open. Kyrgios’ title-winning run saw him eliminate Rafa Nadal, Stan Wawrinka and John Isner before he defeated Alexander Zverev in the final. If the Aussie can replicate that sort of form in Florida this week, the 23-year-old might prove to be a major threat to the established dominance of the likes of Djokovic and Federer at the top of the draw. American Isner is the latest US-based winner of the Miami Open title and this year’s defending champion. He’s in confident form heading into this week’s tournament, and says he’s placed a real focus on going for his shots rather than playing conservatively, so expect plenty of aggressive, exciting play from him this week. “I have to keep telling myself that the only way to play is to go big,” he told ATPTennis.com. Williams captured the Miami Open title back in 2015 and now, after a poor run of form at the tournament, she’s back in the mix and looking to play her way back into form once again. She already has her first win under her belt in this year’s tournament, and says that even though she’s not firing on all cylinders yet, she’s gradually battling her way back towards her best. “That’s the beauty of fighting,” she told WTATennis.com. Romania’s Halep is one of the most consistent players on the women’s tour, and she’s likely to be a major threat at the sharp end of the tournament once again this year. Halep reconnected with her former coach Daniel Dobre ahead of the tournament in Miami, and is hoping the familiarity between the pair will help power her to more tournament success in 2019. “I trust him, and we had a good collaboration in the past,” she told WTATennis.com. Always gritty and tough to beat, the confidence of having a coach she trusts in her corner could prove to be a real difference-maker as Halep prepares for the busy summer schedule. But will it pay instant dividends in Miami this week? Since winning the Australian Open, then splitting from her coach, Osaka has endured a rollercoaster ride of form that has seen her suffer early exits in both Dubai and Indian Wells. Now she’s looking to make amends in Miami, where she is the No. 1 seed in the women’s tournament. Heading into the tournament Osaka said she considered Miami as her home, and she’ll be homing those home comforts will help take her all the way to the title at the Hard Rock Stadium. Australian Open finalist Kvitova looked to have found her mojo again after a thrilling tournament. But some inconsistent form has fans wondering which Kvitova will show up in Florida this week. The Czech star played brilliantly to reach the final in Dubai, but crashed out in the first round in Indian Wells. Always a threat when healthy and in form, if she can negotiate some tricky early tests, she could be a major factor as we get deeper into the tournament.